Why produce propylene from propane ? In 2008, the worldwide sales of propylene reached a value of over 90 billion US dollars. Mainly used in cryogenic distillation processes, BAHX cool down streams to very low temperatures in the range of -100°C or lower. 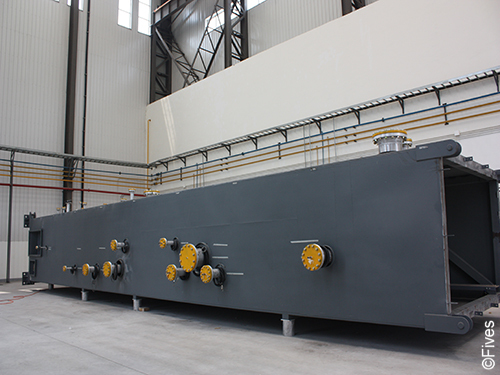 The BAHX offer high performance in terms of heat transfer with compactness. 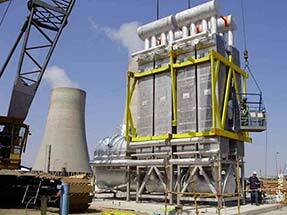 They are also used as condensers and re-boilers for distillation columns. Since 1959, Fives provides ultimate performance brazed aluminium heat exchangers combining multi-fluid expertise and design flexibility. A team of design engineers specialized in thermal and mechanical stresses have developed specific simulation tools to accompany customers in their projects. For over 50 years, Fives has been recognized as a leading supplier in BAHX, cold boxes and cores-in-drums dedicated to petrochemical processing plants. Fives is a world leader in the supply of brazed aluminium heat exchangers (BAHX) and associated equipment for petrochemicals processing plants. All major process licensors and engineering companies have trusted us for our capabilities in this sector.